Varanasi, one of the holiest cities in India, sits on the banks of the Ganges River and is credited as the city where Buddhism was founded. Hindus also consider the city a holy site, with many believing that by dying in Varanasi, one is granted salvation. 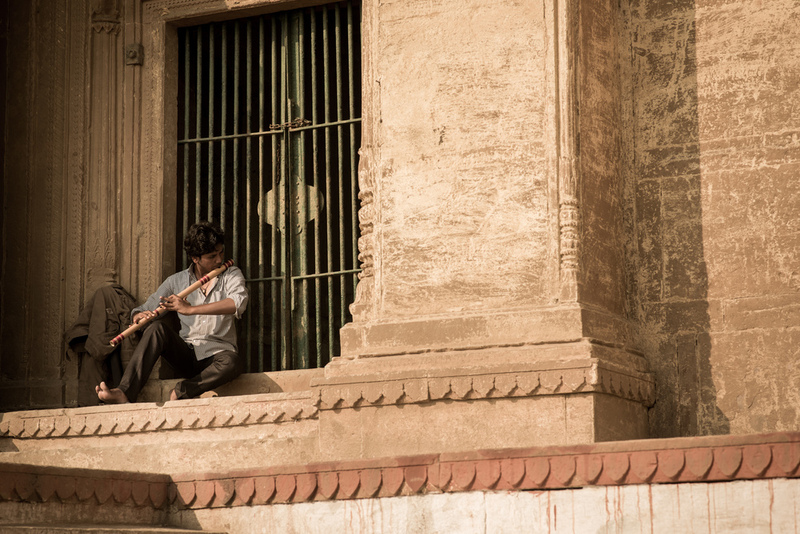 Our trip to Varanasi was hectic. We had to fly from 2.5 hours from Kolkata, then travel by bouncing van for another hour into the city, and finally walk the last mile through impossibly narrow streets to our hole-in-the-wall hotel. But the next morning, as we got on a boat in the pre-dawn light, we knew it was worth the trip. The crowds of pilgrims from across India and the world were gathering on the ghats - the large concrete platforms that lead to the river. As we made our way along the river we watched as people bathed, said payers, and did laundry, beginning their normal day. We had arranged for a guide for the day through the recommendation of a friend. Amit was local graduate student working on finishing his masters in tourism, and really was helpful and explained the religious history of Varanasi and about how each ghat belongs to a different regional or religious group – identifying those from north or south India, or belonging to the Hindu, buddhist, or Jain religion. Watching the sun come up over the horizon through the hazy sky was gorgeous, but it wasn't all as easy to witness. 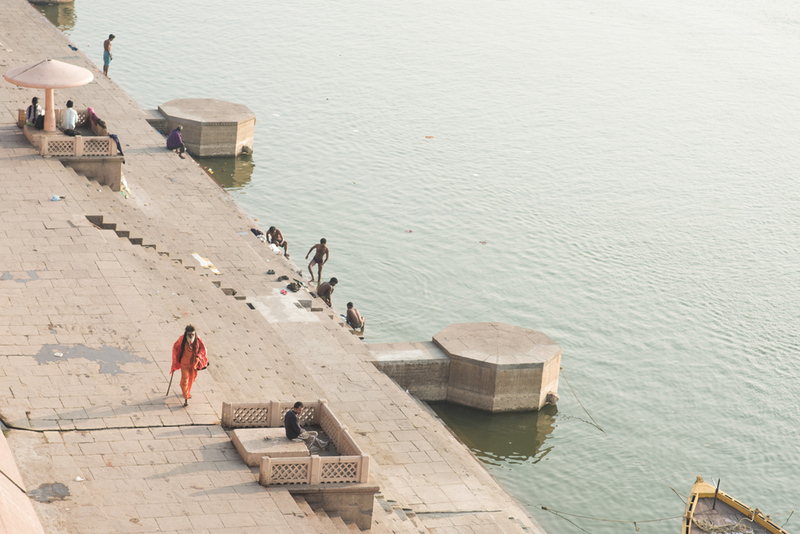 Two of the ghats were built for cremations, with small funeral pyres built right in the open. There was something that felt dignified about not hiding such an important stage of life. This, in contrast with all of the people starting a fresh new day, made for a powerful morning along the banks of the Ganges. Late in the fall, the opportunity to travel to India in February went from a distant possibility into a reality. Having a few friends visit India in the last two years brining back some incredible stories, I jumped on the chance to make the trip with my girlfriend as she attended the World Congress on Public Health in Kolkata. It was a bit of a scramble to pull together the visa, immunizations, and travel details in only about six weeks, but was totally worth it. From the moment we stepped out of the arrivals terminal at the airport, the chaos of Kolkata surrounded us. Even arriving at 8pm on a Sunday night, we were thrown into the crazy mix of traffic that includes taxis, jeeps, motorcycles, busses and bicycles – all competing for the same scarce inches of open space on the road. 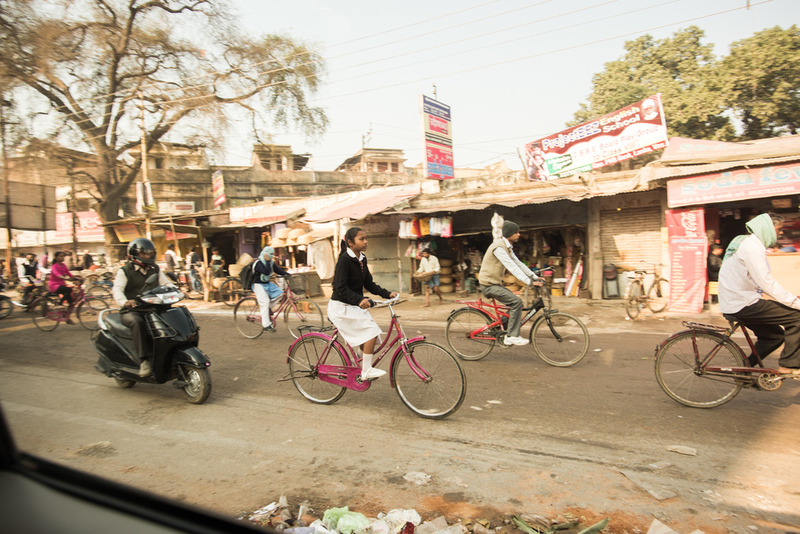 As someone who generally spends time on a bicycle for recreation at home, I loved watching the range of utility that people could get from their bikes in India. 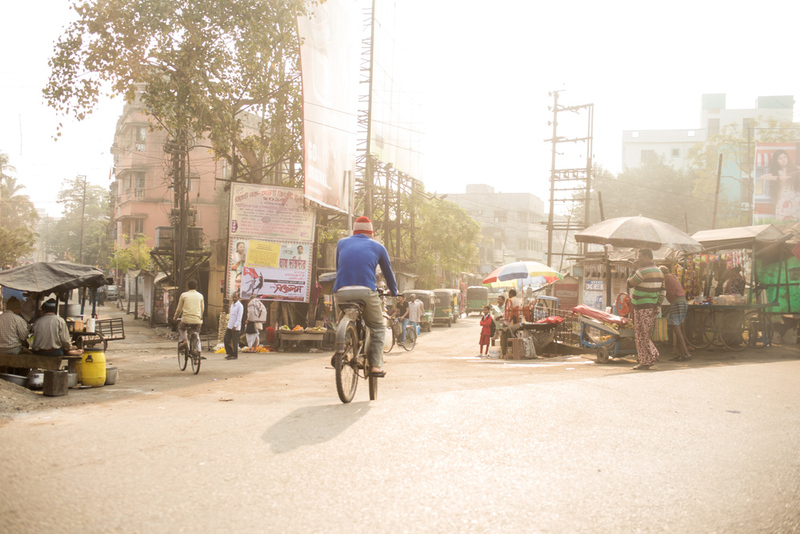 As we traveled through our six day trip, I tried to capture some of the bikes I saw while we walked and drove around Kolkata and Varanasi. This week each day I'll publish one small glimpse into my trip. While I went into the trip with some rough ideas where I wanted to concentrate my photography, it was still difficult to stay focused when surrounded everywhere by a visual richness that was completely new to me. I want to thank designer Ben Johnson who created the hand drawn title for each day's post.